Things are moving on apace with testing of the quad version of a Vietnamese Flute kite. Good news though, it now has a name. Let us introduce you to the 2G. Lots of testing has been going on since we first flew this 4 line kite back in June 2014. It was good then, it’s even better now. The bridle was the first fix, next the handles and recently we have been working on the spars. This weekend though we have been testing the semi vented version. 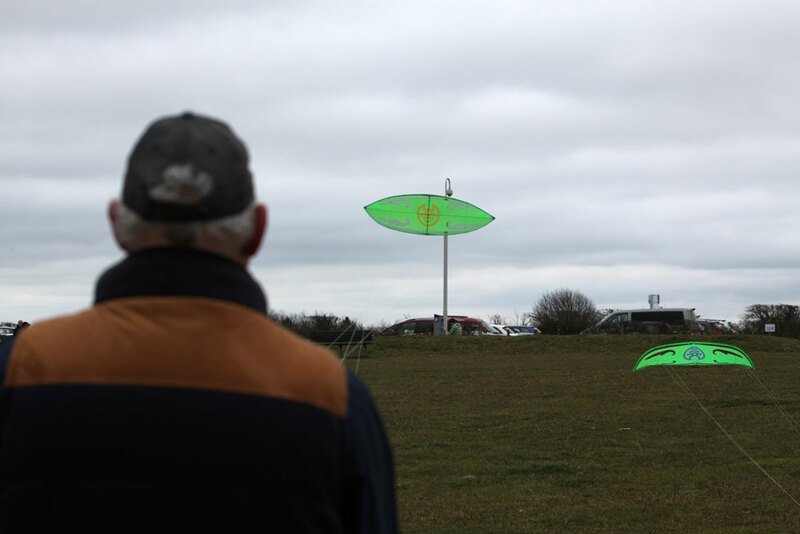 Saturday saw the first fine day of the year here in England perfect conditions to test kites. Unfortunately we went flying on Sunday which was cold, wet and WINDY! Why would we do that you ask? To test the vented kite of course. Straight away the vent flew like a dream. 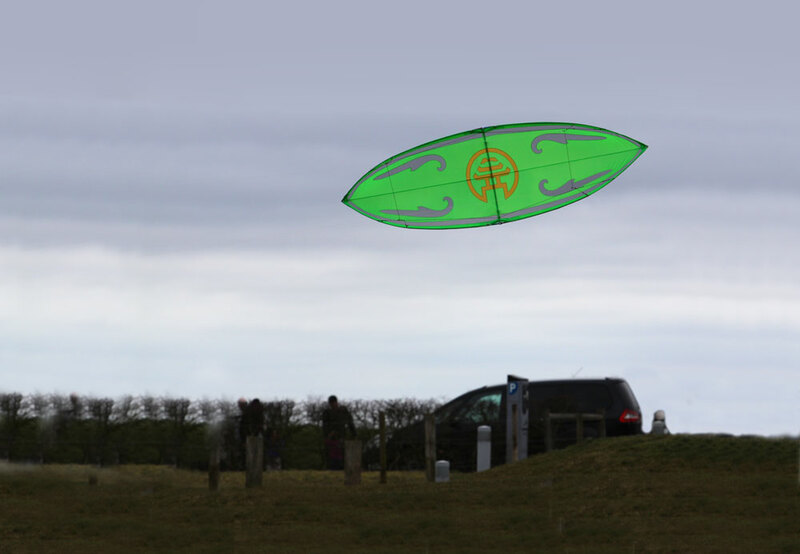 The pull was noticeably less than other more traditional quad kites due in part to it’s smaller sail area but the sail shape also plays a part. The kite was responsive with a wide window, it’s perfectly symmetrical design means that the wind window is the same whichever way you face. All the moves of the standard kite are there starting from the dead launch all the way to the yo-yo. As with many vented models, the tricks with this vented kite are less simple to execute but with a little effort most can be flown across the wind window. We tested the kite with and without the flutes and it preformed well in both set-ups. 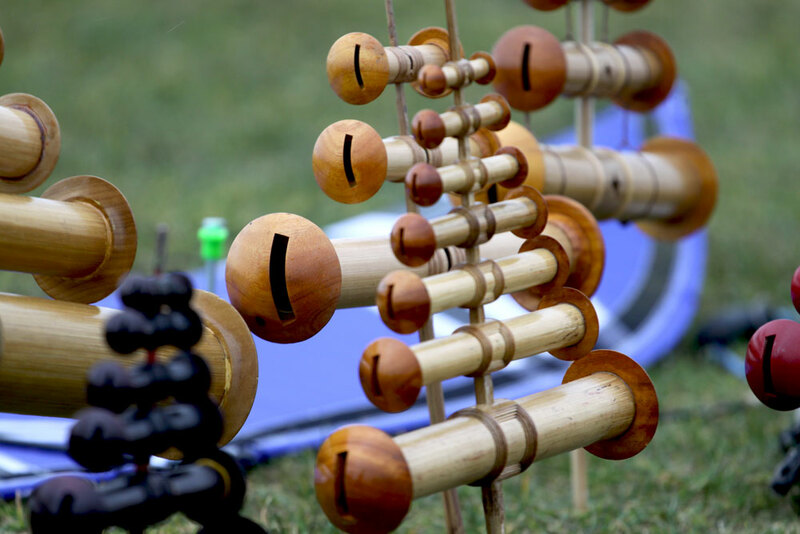 Playing the flutes is just as entertaining in the high winds with the added bonus of greater volume. Further tests to come will look at ways of mounting more flutes onto the sail to increase the possibilities. Watch this space. We were lucky to be joined by Steve Matchett today, a flier of considerable experience and an expert team flier, together we were able to explore some of the kites team flying abilities. It was clear from the beginning that the kite will perform well in team. We had a lot of fun trying out some favourite moves and even more discovering new ones. The most fun was had with contact moves, the kites fly easily into a “kiss” and can be flown face to face, back to back or more interestingly side to side. Flying around the window whilst joined together was a little tricky at first but well worth the practice to get it right. The kite range is coming together nicely and should be available soon. Testing Times – It’s a Frame Up! Testing Times – Where to begin?